In the six years it has been around, Houzz has developed a reputation (and quite a bit of success) for allowing users to put together their idea of a dream home. Now, a new update for the company’s iOS app will put those ideas into action with new sketch and collaboration features. Available today, users can start with a blank canvas, take photos of their own space, or select one of 8 million already available on the site, and annotate them in real time. Using drawing features as well as stickers and notes, users can adjust and then share photos to be updated in real time across devices. Think of it like a sketch version of Google Drive. 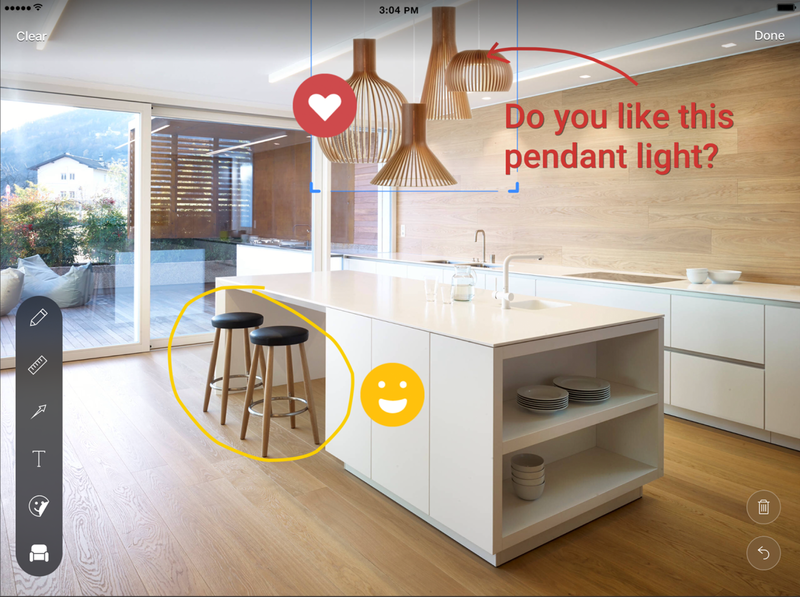 When designing a space, users can drag and drop photos of products catalogued on the Houzz Marketplace into their photos. However, it’s worth noting that the photos don’t adjust for scale, so it’s hard to really know if that sofa will fit in your living room. Interestingly, all of these features are optimized for the iPad Pro, and are compatible with the new Apple Pencil. Additionally, this update is currently not designed for the desktop browser experience on Houzz. Despite its mobile-only access, sketch and annotation features take the inspiration that Houzz has provided over the last few years and turns it into action. Users can collaborate with loved ones or even hired professionals to achieve the look that they want without actually leaving the app itself. It’s just a shame there isn’t a way for users to publicly share these images. Users can directly share their sketches with others through a share button, or invite others to his or her ideabooks. But for professionals, a public stream of sketches could be a good way to critique and curate images to help potential clients get better ideas of their aesthetic. The update to the app is available now in the App Store.